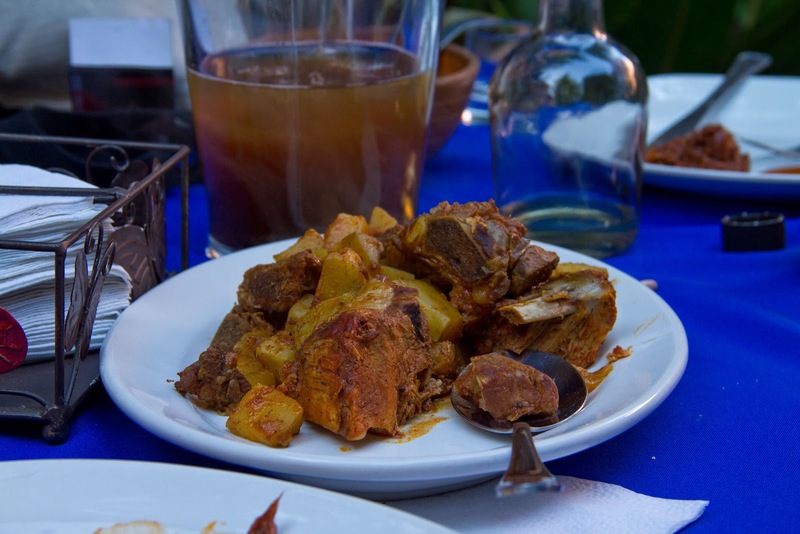 Casa Crespo offers classic Oaxacan cooking done to a high standard. 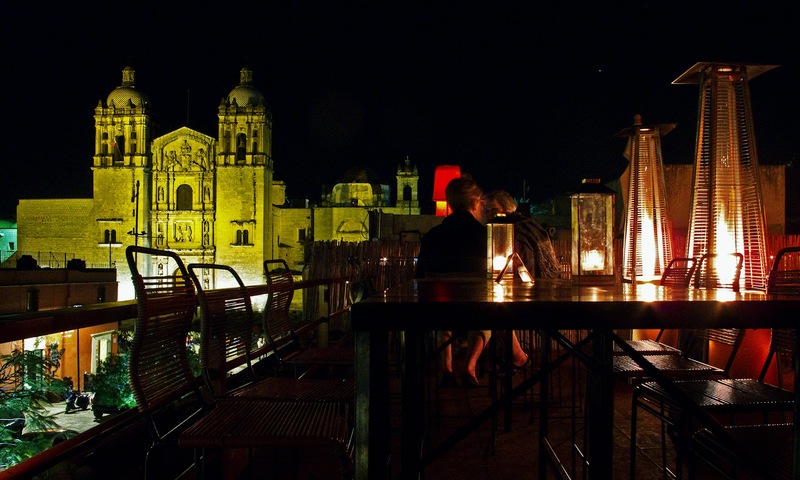 They also have a roof top deck with the finest view of the Santo Domingo. 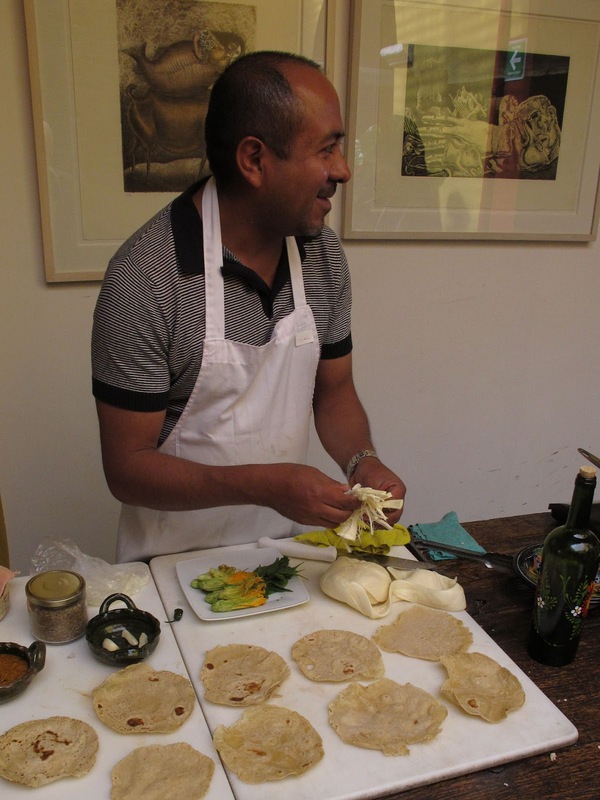 Casa Crespo is owned by Oscar Carrizosa who provides cooking classes in English. 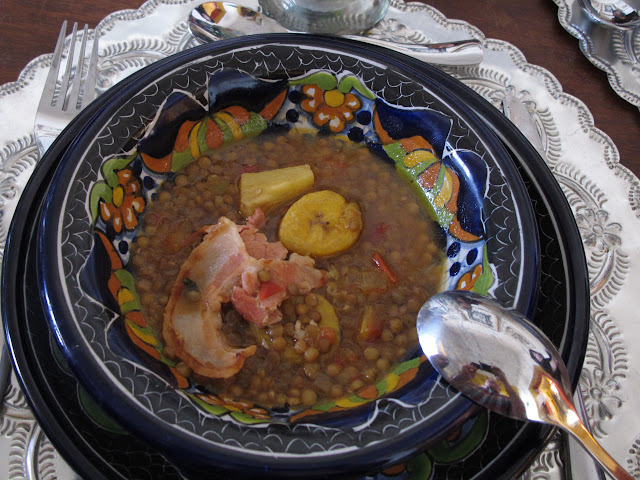 Some favorites from his menu include sopa de lentejas con plátano macho, piña, y tocino (lentil soup with plantains, pineapple and bacon), caldo de piedra con camarón y pescado (a pre-Hispanic soup of shrimp and fish cooked with hot river stones), pipian verde (fish of the day in a pumpkin seed mole), Chichilo mole (an old recipe using endemic chilhuacle chiles), helado de chocolate (homemade chocolate ice cream sprinkled with guajillo chile powder), and sorbete de mezcal y sal de gusanitos (mescal sorbet topped with agave warms and chile powder). They are located at Allende 107, between Alcalá and García Vigil. 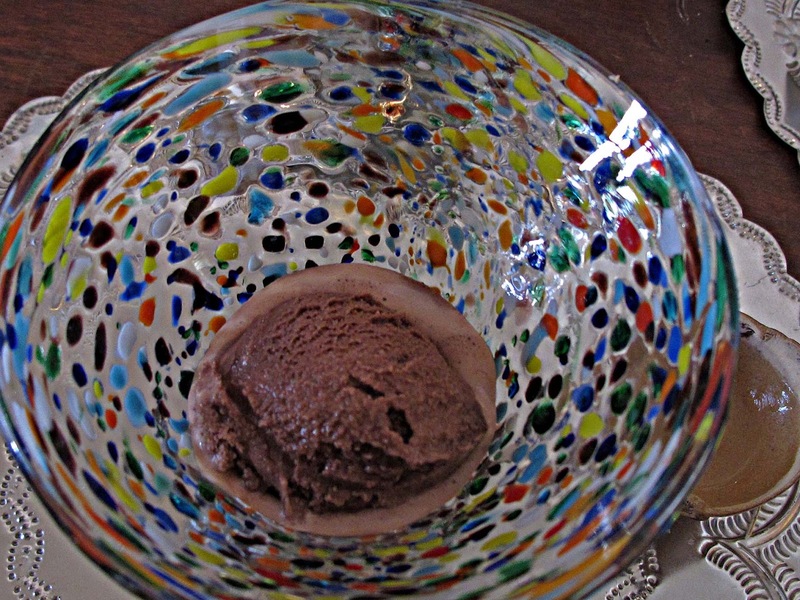 Casa Crespo's website is here. La Teca also offers classic Oaxacan cooking from the Isthmus of Tehuantepec done to the highest standard. 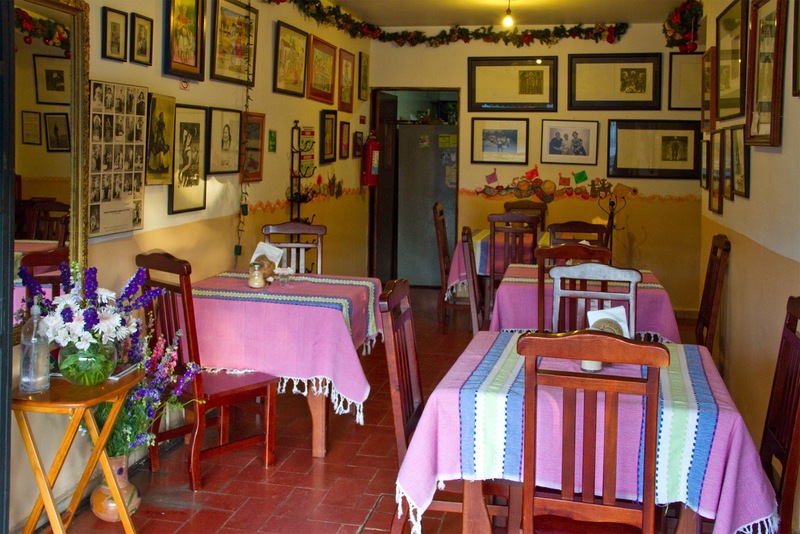 It is a small place (only four tables inside) in the Colonia Reforma with a lovely garden with five or six more tables where they can accommodate groups. They are located at Violetas 200A. 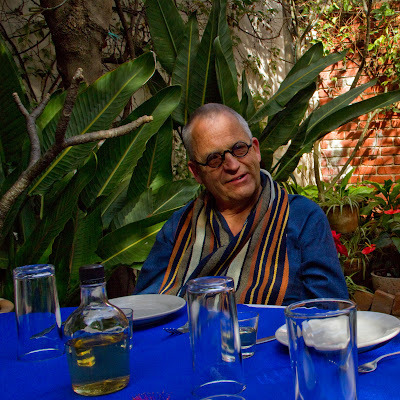 The owner and chief cook at La Teca is Sra. Deyanira Aquino, born and raised in the Isthmus. 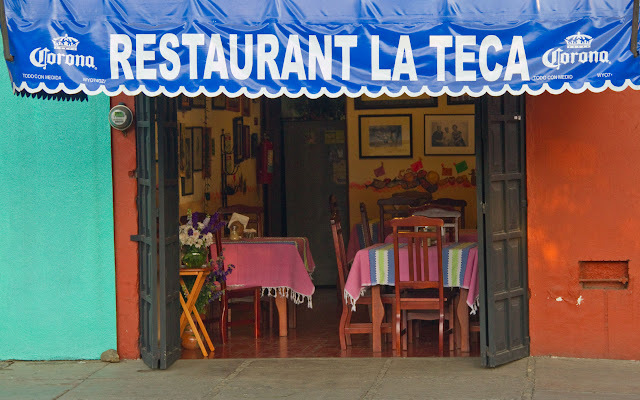 Women of the region are called 'tecas'--from Tehuantepec--hence the name of the restaurant. 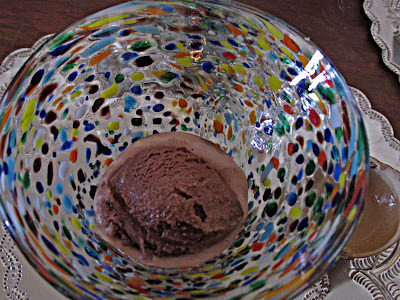 Their tasting menu is a great choice if you have a group of four or more. It starts with garnachas then continues with an assortment of tamales. The menu often includes purée de papa, estilo Istmeño (potatoes, coarsely mashed and then baked, Isthmus style), asado de puerco con mole (pork roasted with mole, from Tehuantepec), estofado de bodas, and usually a mole served by itself. Since it's a bit of a hike from the centro it's advised to make reservations, phone 01.951.515.0563.